Cinderella Hair Removal of Arlington Heights is under new ownership. You all probably know Jackie Walton. Jackie has worked there for several years, and now her mother, Holly Schmid has joined her. Electrolysis is a good choice for small areas like upper lips, eyebrows, and if you are fighting with a few pesky chin hairs. It is the only choice for people with very light colored and grey hair. Laser hair removal is categorized as permanent hair reduction. However, most clients see excellent results with the majority of unwanted hair being eliminated. Approximately four to six treatments, on average, are needed to achieve desired results. Skin damage can result from many factors. These factors include damage to the earth’s protective ozone layer as well as voluntary exposure to sunlight and artificial sources of ultraviolet light. 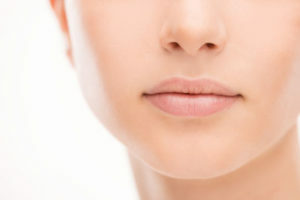 This damage can often be reversed with a skin rejuvenation procedure. Expect an excellent outcome and no downtime. Laser skin resurfacing will treat a wide range of cosmetic conditions, including wrinkles, lines, sagging skin, and textural changes that can occur as a result of the natural aging process. Treatment can be performed on nearly any area of the body, and is most popularly used on the face, chest, arms, and hands. You can return to your normal routines right after treatment.